Kyle practices in the areas of real estate, water, and business law. He also assists businesses and individuals in employment law. A writer at heart, Kyle has developed a level of expertise in legal research, analysis, and writing. He approaches legal problems with a focus on results and efficiency, keeping in mind the practical realities of business as well as the strict legal perspective. Kyle was an 800m runner for Boise State’s Track & Field Program and his athletic background has instilled in him a fire for healthy competition and desire to excel in his efforts. Prior to attending law school, Kyle was V.P. of Business Development and Human Resources at one of the largest and highest-producing residential real estate teams in the country. He has a love and appreciation for Idaho land and real property, and its intersection with life and the law. His father was a realtor and his grandfather a federal land appraiser and wildland firefighter. Kyle previously worked as a legal extern to Chief Justice Matthew B. Durrant of the Utah Supreme Court. It was especially valuable as a new attorney to conference with the judge and see first-hand the judge’s individual process of evaluating cases. While in law school, he was a Lead Note and Comment Editor of the BYU Law Review, a research assistant for Law School Dean Gordon Smith, a member of the Dean’s List, and the recipient of the highest grade awarded in Evidence and Land Use. As a member of the BYU Law and Entrepreneurship Clinic, he helped many start-ups with the wide variety of legal needs related to starting their business. He was also a law clerk at the Idaho Office of the Attorney General, civil litigation division. 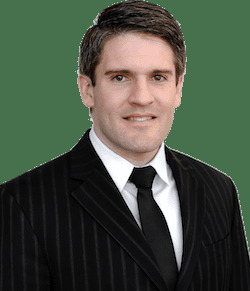 Kyle is a member of the Idaho State Bar and is admitted to practice law before all Idaho state and federal courts. Kyle and his wife, Kayte, have two wonderful children. Both Kyle and Kayte are Idaho natives and have ties to Southeast and Southwest Idaho. Kyle’s interests include hunting, hiking, and fishing.